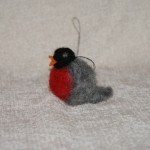 Home / STORE / Hanging Decorations / Robin. 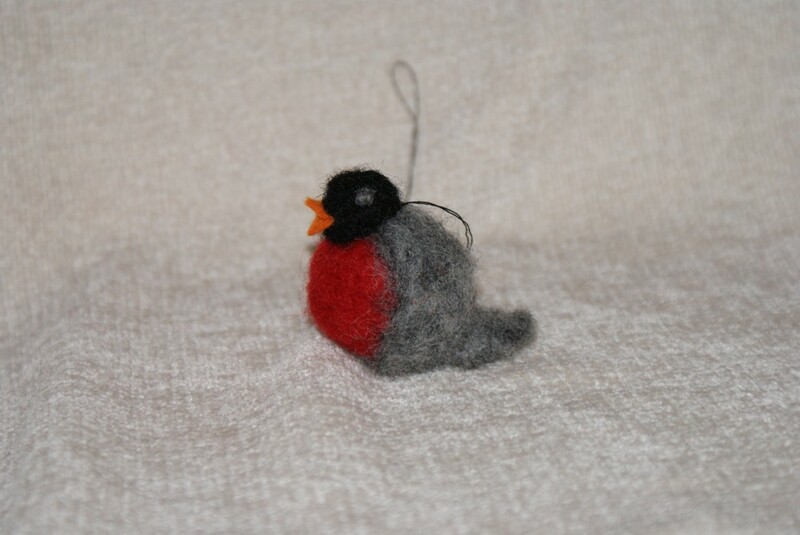 These cute little Robins have a polystyrene body felted in red wool, with grey wool felted wings and tail, black wool felted head and an orange felt beak, hanging from thread. Approx 4.5cm high.